Information about the location and the program of the commemoration may be found here. The announcement of the event may be found here. The detailed program of the event may be found here. 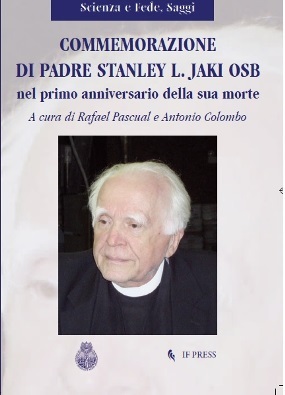 The Department of Catholic Studies of the Seton Hall University and the Stanley Jaki Foundation in occasion of the 10th anniversary of the death of Father Stanley L. Jaki, OSB, STD, Ph.D, Seton Hall University physics professor from 1965-2009, will met in Rome for a Memorial Mass and scholarly exchange on the legacy of Father Jaki. Father Joseph R. Laracy, who first began teaching in Catholic Studies in 2016, has been the principal celebrant of the Mass. His recent doctoral research in fundamental theology at the Pontifical Gregorian University has utilized the insights of Father Jaki. Dr. Ines A. Murzaku, Professor of Ecclesiastical History and Director of Catholic Studies spoke about Fr. Jaki’s living legacy at Seton Hall University. The President of the Stanley Jaki Foundation, Father Paul Haffner, the first biographer of Fr. Jaki, spoke on the intellectual legacy of Father Jaki. The announcement of the meeting can be found here. Information about the program of the Celebration may be found here. Stacy Trasancos on Does Science Need Christ? The second part of this TV program (from minute 57 onward) is devoted to the Science and Faith relationship. The video of the talk may be found here. On 14 September 1916 Pierre Duhem died in Cabrespine (France). 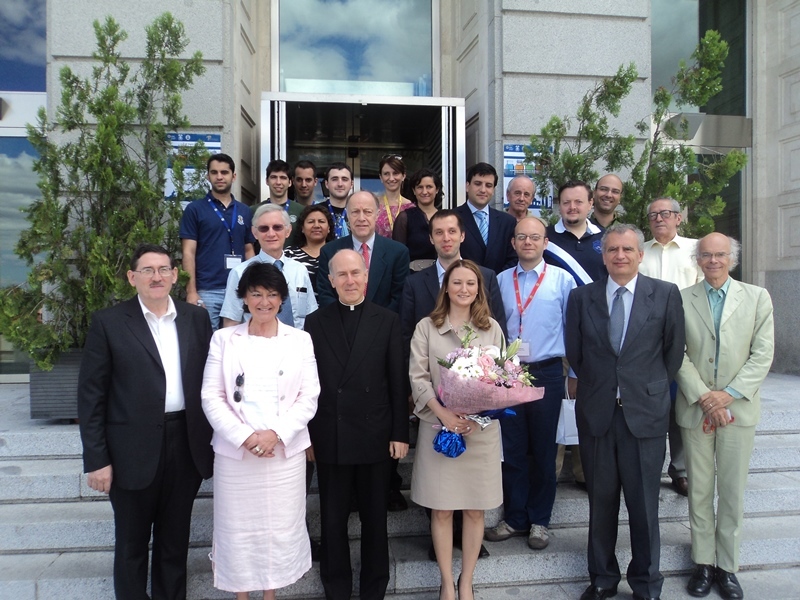 On the centennial day (14 September 2016) a Meeting, organized by CAS+E, the Catholic Association of Scientists and Engineers. was held in Bowie (Maryland). The notice of the meeting can be seen here. There were three contribution that evening. 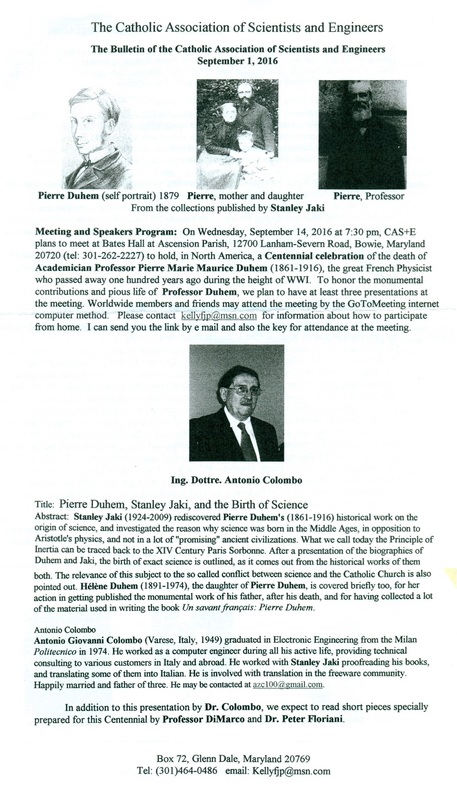 The video of the first one, a talk of Antonio Colombo titled Pierre Duhem, Stanley Jaki, and the Birth of Science, can be seen here. The String Quartet exhibition that starts the video was actually played at the end of the meeting. The text of the second communication, the one of Donald De Marco, titled Pro-Life Model: The Tenacity of Pierre Duhem, was read by Gregory Rozanski, and can be found here. The text of the third communication, the one of Peter Floriani, titled Newman, Chesterton, Jaki, and the Founding of the Ambrosian University, was read by David Rajnes, and can be found here. A few pictures taken on that occasion may be found here. One of the pieces played by the String Quartet may be found here. As part of the Master in Science and Faith, organized by the Science and Faith Institute of the Pontifical Athaeneum Regina Apostolorum in Rome, a talk has been given on 8 November 2016, by Antonio Colombo, on: Stanley Jaki, a life devoted to the Science and Faith relation. The text of the talk (in Italian) may be found here. A video of the talk (in Italian) may be found here. The program of the conference can be found here. The Acts of this conference are in preparation. An International conference was held at the Seton Hall University on April 14-15 2015. The conference has been organized and cosponsored by the Department of Catholic Studies and the Department of Physics of the Seton Hall University. The main organizers of the event have been Jose Lopez (Department of Physics), Ines Murzaku (Department of Catholic Studies, Father Joseph Laracy and Father Paul Haffner (who could not attend for family reasons). 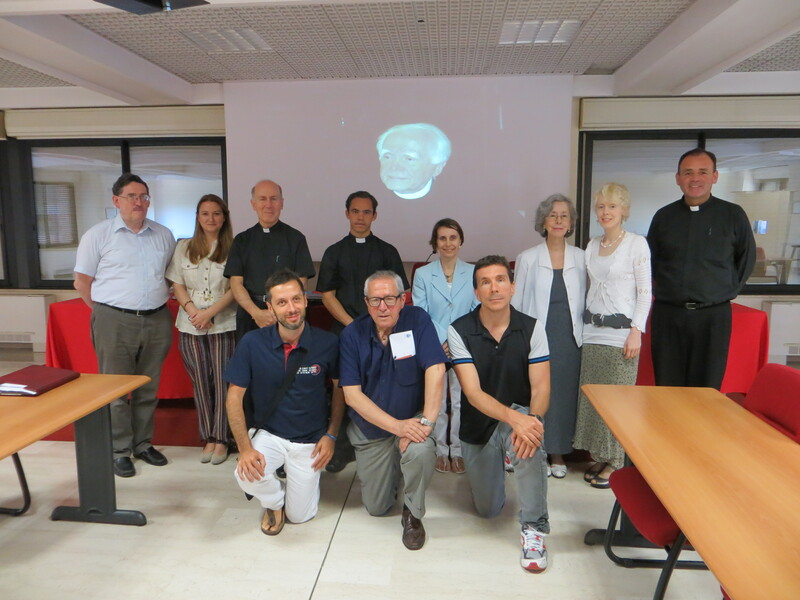 A Summer Course devoted to the study of Fr. Jaki was held in Rome on July 2014. The program of the Course can be found here. A report on the Summer Course (in Italian) can be found here. A picture taken at the end of the course can be found here. A few pictures taken on that occasion may be found here. 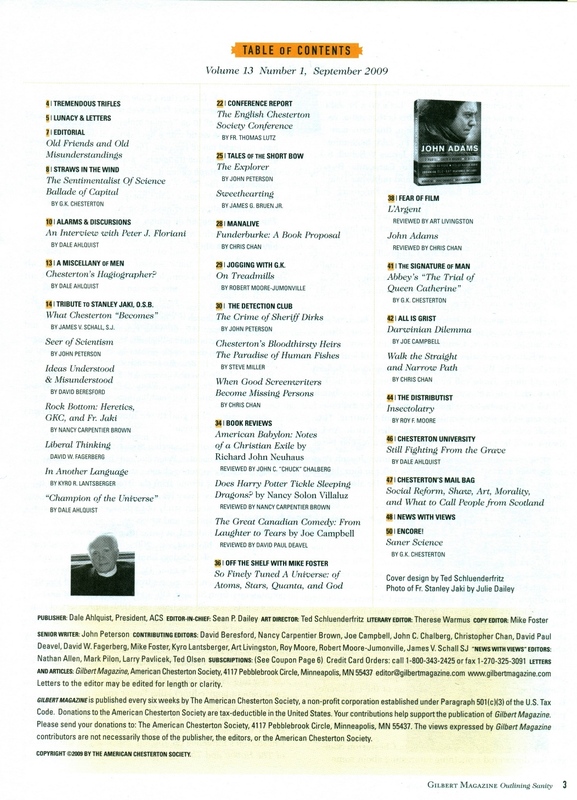 The May-June 2014 issue of the St. Austin Review, prepared with the collaboration of John Beaumont, has been devoted to Stanley Jaki. 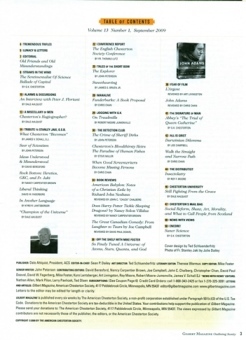 You can see the Cover of the issue, and the Table of Contents. 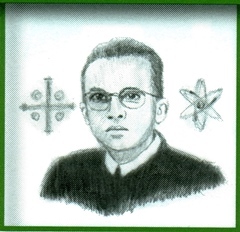 A drawing of the young Father Jaki, with symbols of Christian faith and science, decorated the issue. It is reproduced here. The picture that inspired it can be found here. Győr (Hungary) — A plaque was placed in Zrinyi str. 6, Győr (Hungary) on a wall of the house where the three Jaki brothers were born. The plaque has been consecrated by H.E. 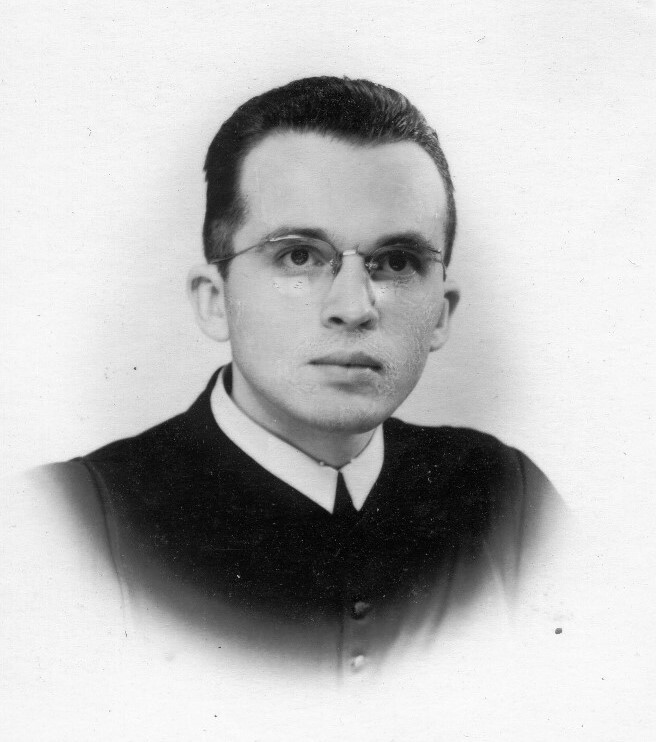 Bishop László Bíró. A TV reportage in Hungarian about the event can be found here. Emléktábla avatással és konferenciával emlékezett a Bencés Diákok Győri Egyesülete a Győri születésu bencés szerzetes Jáki testvérekre. Jáki Zénó, Jáki Szaniszló és Jáki Teodóz maradandó és szép emlékeket hagytak több ezer bencés diákban, ezért gondolták úgy a szervezok, hogy Győri szüloi házuk falán márványtábla orizze emléküket. A három Jáki testvérre emlékezve konferenciát is tartottak Győrben, ahol eloadások keretében idézték fel tevékenységüket és szellemiségüket. The announcement of the event is contained in the message from Sylvester Vizi (Former President of the Hungarian Academy of Sciences) to Fr Paul Haffner (President of the Stanley Jaki Foundation) that can be found here. The text of the speech of Sylvester Vizi about Stanley Jaki (in Hungarian) can be found here. Father George Coyne. S.J., Ph.D. the McDevitt Chair of Religious Philosophy at the McDevitt Center for Creativity and Innovation of Le Moyne College in Syracuse, New York presented the annual Fr. Stanley L. Jaki, O.S.B. Distinguished Lecture of the Department of Physics at Seton Hall University on Tuesday, November 20, 2012 at 6 p.m. The special lecture has been held in the Jubilee Hall Auditorium in Jubilee Hall on Seton Hall’s South Orange campus and is part of the President’s Advisory Council Distinguished Guest Lecturer Series sponsored by the President’s Advisory Council members. 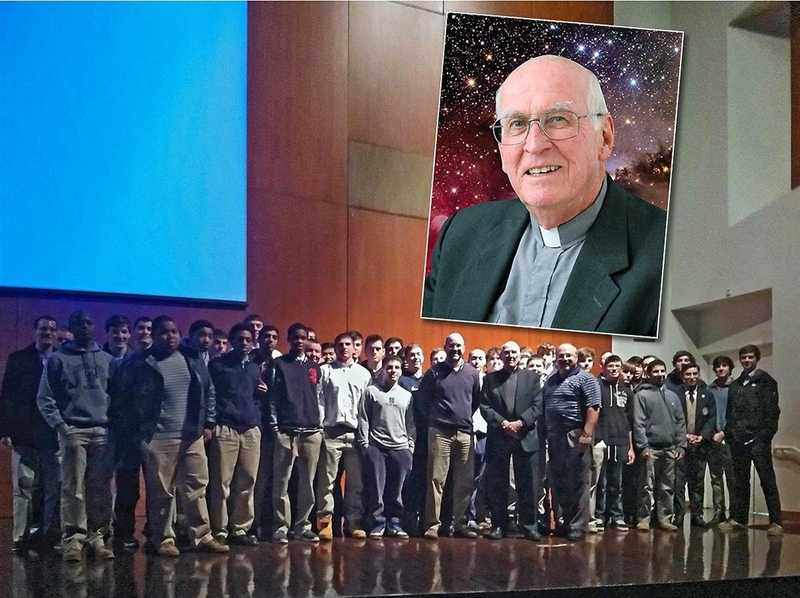 A video of the lecture has been put online by the Seton Hall University. It can be found here. George Coyne is a Catholic priest, member of the Society of Jesus or Jesuits, and a world renowned astronomer. Father Coyne served as the Director of the Vatican Observatory from 1978 to 2006, and is currently President of the Vatican Observatory Foundation. He is considered to be one of the leading intellectuals on the topics of the interaction between science and religion. Fr. Coyne’s lecture entitled The Dance of the Fertile Universe: Chance and Destiny Embrace explores the immense quantity and variety in the universe which contains about 100 billion galaxies each of which contain on the average 200 billion stars. The lectures focus is on the scientific explanation of how the life and death of stars have provided the building blocks necessary for the evolution of life. There is then a reflection on the question, if human life came about by chance or by necessity? The lecture further reflects on the vast "fertility" of the universe surveyed from the aspect of the best of modern scientific understanding. A final reflection is provided on the question: Did God do it? 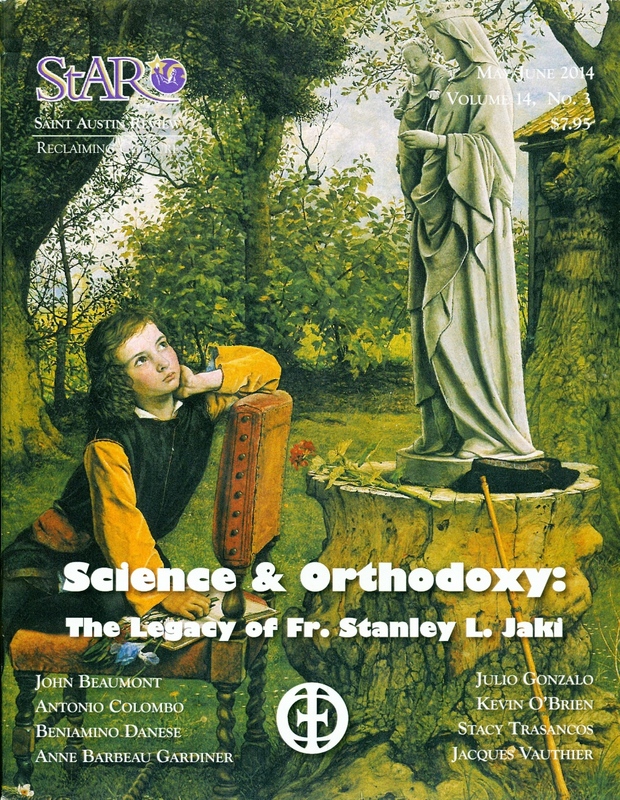 In his attempt to answer this question Father Coyne discusses how important it is to respect the richness of both religious faith and of scientific research. A picture taken after the Lecture can be found here. 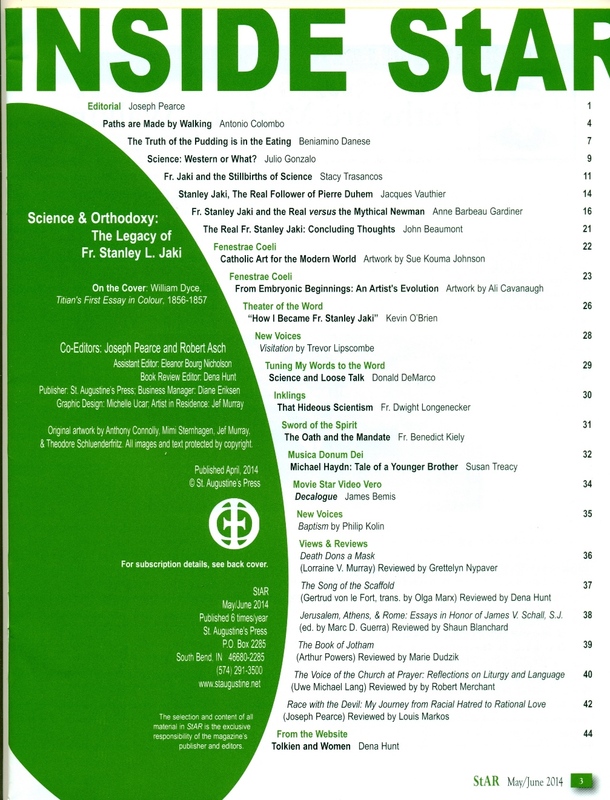 The Portsmouth Institute (RI) asked Kevin O’Brien to impersonate Father Jaki, during their 2012 (June 22-24) Conference on Modern Science / Ancient Faith. Kevin prepared his talk reading a lot of books of Father Jaki, and looking at the talks of him in the Internet. The result is truly impressive. 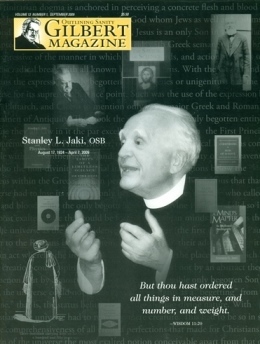 The text which Kevin used as a basis for his talk is mostly made of quotes from various books of Father Jaki. It is available here. Kevin O’Brien, founder and directore of Theater of the Word Inc., started a project named Grunky. The term Grunky comes from Chesterton: "A word I invented at the age of five to express my religious sentiments". About Kevin O’Brien activity, in his own words: "My wife and I run two theatrical companies, Upstage Productions, in which we perform comedy murder mysteries around the country—that’s how we make our money; and The Theater of the Word Incorporated, in which we travel the country evangelizing through drama—that’s how we lose our money." The video of the event can be seen here. 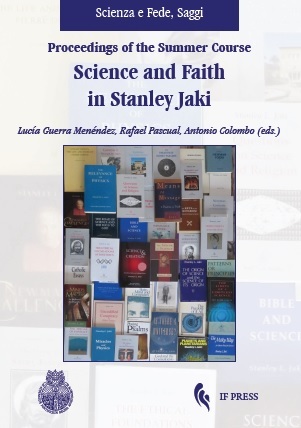 A 3-Day Course about Science and Faith in Stanley Jaki", has been held in Madrid as one of the the San Pablo CEU University Summer Courses from July 11 to July 13 2011. A book with the Acts of the Summer Course has been published. It contains contributions of: Lucía Guerra Menéndez, Antonio Colombo, Rafael Pascual, John Beaumont, Paul Haffner, Jacques Vauthier, Leopoldo José Prieto López, Juan Arana, Beniamino Danese, Manuel Carreira, Angelo Bottone, Julio A. Gonzalo. More information about the Acts may be found here. Professor Freeman Dyson of the Institute for Advanced Studies in Princeton, New Jersey has been the inaugural lecturer of the Fr. 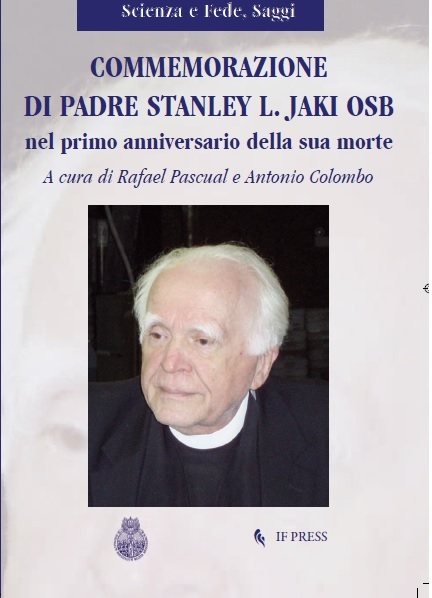 Stanley L. Jaki, O.S.B. Distinguished Lecture of the Department of Physics at Seton Hall University on Monday, November 14, 2011 at 6 p.m. The special lecture has been held in the Helen Lerner Amphitheatre (SC 101) in McNulty Hall and is part of the President’s Advisory Council Distinguished Guest Lecturer Series sponsored by the President’s Advisory Council members. Freeman Dyson is considered to be one of the greatest living thinkers and intellectuals on the topics of science and technology. His ideas have had a profound and widely regarded impact on many fields — physics, biology, history, philosophy, and theology. Professor Dyson’s lecture entitled "Living through Four Revolutions" provides a first-hand witness reflection on the history of science and technology over the last half century. In particular, his contemplation is about the four modern scientific and technological revolutions which were space, nuclear energy, genomics, and electronic computing. He looks at how these revolutions started, how they slowly transformed the world during the past half century, and how they are still transforming it today. The announce of the Lecture can be found here. in Rome, on 13 April 2010. Fr. Téodoz Jaki (brother of Fr. Stanley Jaki) attended the Meeting. The Acts of the Meeting contain contributions by Rafael Pascual, Marcelo Sánchez Sorondo, Antonio Colombo, John Beaumont, Jacques Vauthier, Lucía Guerra Menéndez, Hrvoje Relja, Jason Mitchell, Alexandra von Teuffenbach, Pedro Barrajon, Paul Haffner, Alessandro Giostra. The original Italian text of the impromptu speech of Marcelo Sánchez Sorondo, Chancellor of the Pontifical Academy of Sciences, can be found here. An English translation of the same speech can be found here. A review (in Italian) may be found here. 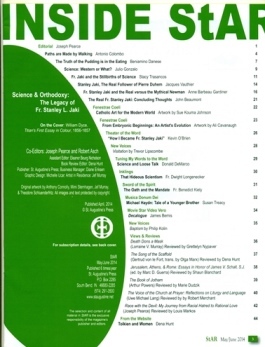 A special issue of Gilbert, the magazine of the American Chesterton Society. has been devoted to Father Jaki a few months after his death. Here you can see the Cover and the Table of Contents. The reportage (part of a Múlt-kor emission of 29 November 2009) can be found here. The complete Múlt-kor emission can be found here.